The Department of Environmental Quality and the Oregon Health Authority failed to notify Cleveland High School for a month after they discovered arsenic at 6 times the state’s safety guidelines and lead at 11 times the safe threshold. Two state agencies leading Oregon’s emergency response to toxic air pollution concerns in Portland have known for a month that a soil test at Cleveland High School found high levels of arsenic and lead contamination. Yet neither the Oregon Health Authority nor the Department of Environmental Quality have shared the soil result with Portland Public Schools, which instead learned about it Friday from The Oregonian/OregonLive. The sample at Cleveland tested at 36 times the state’s safety guidelines for arsenic and 11 times the threshold for lead. People who analyze soil samples for a living cautioned against drawing conclusions from a single test result. They advise collecting multiple samples and averaging the results. But Brent Jorgensen, a Tualatin-based environmental consultant who regularly deals with contaminated sites, called the Cleveland numbers “alarmingly high.” He said such a single test result would normally trigger an immediate response. “You’d want to know more, and you’d want to get on it very quickly,” Jorgensen said. The state’s failure to notify the school district is the latest in a steady, slow series of disclosures by environmental regulators about heavy metals pollution in Portland. The newest revelation worries parents already frustrated by the state response. An Oregon Health Authority spokesman didn’t return a call. The sample outside Cleveland was collected as a follow-up in an ongoing federal research project that initially used samples of tree moss citywide to pinpoint concentrations of toxic air pollution. Researchers scooped 25 soil samples from the ground beside 25 trees that contained moss that they also tested. The Cleveland soil sample was the only one to test so high. One other sample, on Southeast 27th Avenue, had arsenic levels slightly above the state’s cleanup guideline. The Oregonian/OregonLive discovered the Cleveland test result in emails obtained Friday from the Department of Environmental Quality under the state’s open records law. Those records show a Forest Service scientist, Sarah Jovan, sent a spreadsheet with the soil results on Jan. 25 to two of the top officials now responding to the city’s toxic air scare. She sent them to Sarah Armitage, a toxic air specialist with the Department of Environmental Quality, who then forwarded them to David Farrer, a toxicologist with the Oregon Health Authority. Asked by email Friday why the Forest Service didn’t also share the information with Portland Public Schools, Rob Mangold, a Forest Service official, said he thought his agency had followed proper protocol by alerting the state. The emails are the first indication that the state had any results from soil samples to flesh out findings in moss and air monitoring. The Oregonian/OregonLive on Feb. 12 asked Nina DeConcini, a top official with the state’s environmental regulator, whether any such results existed. She said no. The agency has since begun taking its own samples around two air pollution hotspots connected to stained glass makers. Jon Isaacs, a Portland Public Schools spokesman, said the school district wasn’t told about the high lead levels and arsenic levels shown in the single sample from Cleveland. Other test results outside Cleveland have not found arsenic contamination. 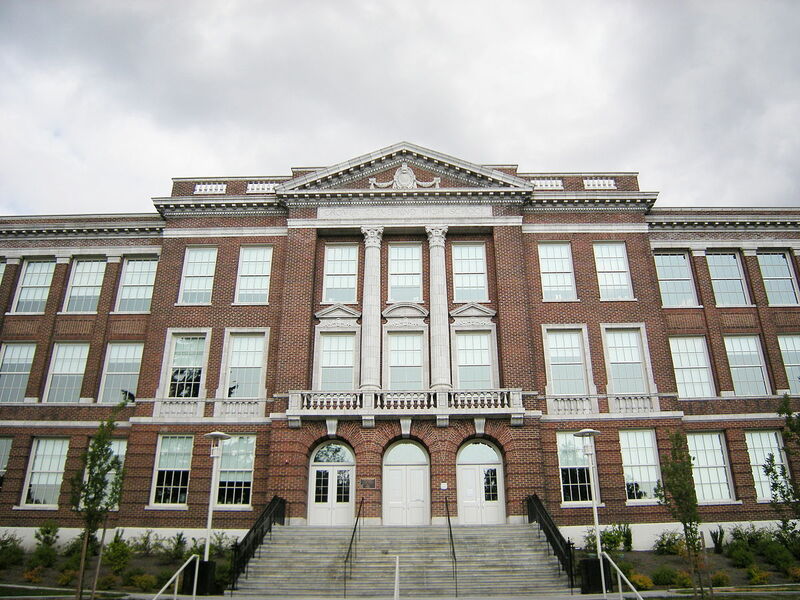 Portland Public Schools, without knowing about the previous soil test at Cleveland, took its own soil sample from the school’s football field Feb. 5 and didn’t detect either cadmium or arsenic. A third laboratory test on a Cleveland soil sample, collected by The Oregonian/OregonLive, showed cadmium and arsenic below the thresholds that the lab could detect. Neither the school district nor The Oregonian/OregonLive tested for lead. Jorgensen, the environmental consultant, said much more data would be needed to flesh out the significance of a single high reading like the one at Cleveland. Isaacs said Portland Public Schools has asked for more money from the state to pay for additional testing at Cleveland and other schools.